After bursting onto the scene more than two decades ago with its revolutionary hybrid design, the iconic Toyota Prius is still going strong. The 2019 Toyota Prius offers eye-catching styling, pleasing driving characteristics, a new available all-wheel drive system, and many advanced technologies, along with incredible fuel economy. Here at Novato Toyota, we invite eco-minded car shoppers in the San Francisco Bay Area to check out the 2019 Toyota Prius! You’ll be saving plenty of money at the gas pump with the 2019 Toyota Prius. With the latest-generation of the Hybrid Synergy Drive System, it gets an estimated fuel economy of up to 58 city/50 highway mpg. The Prius is also fun-to-drive, with its lightweight body, responsive handling, and aerodynamic design. 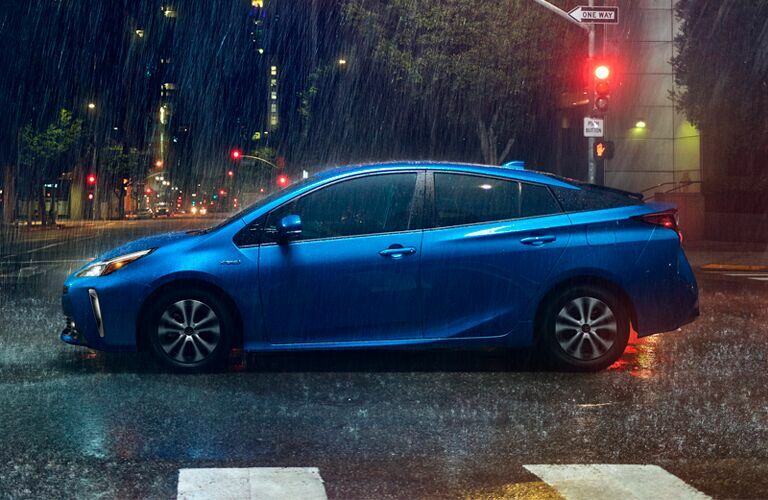 Also, for the first time in the model’s history, the Prius offers an available all-wheel drive system for all-weather traction and driving over challenging terrains. The 2019 Toyota Prius really grabs your attention with its sporty styling. It has a redesigned front bumper, headlights, and taillights, along with two new paint color options: Electric Storm Blue and Supersonic Red. 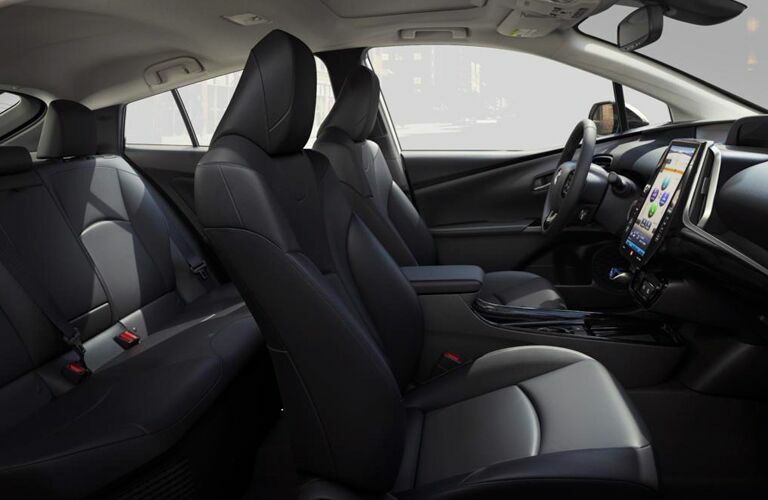 Inside the Prius, the cabin has an elegant, yet functional design — and is filled with high-quality materials. 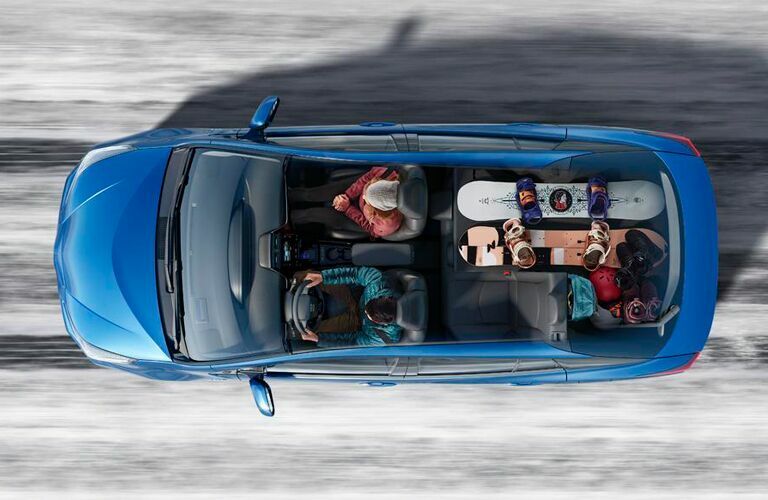 The new Prius also offers a generous amount of storage space, with a maximum cargo capacity of 65.5 cu-ft. Additionally, the 60/40 split-fold second-row seats provide a great deal of cargo flexibility. The new Prius offers a plethora of advanced technologies. This includes the Entune Audio multimedia system, the Smart Key System, a wireless charger, Advanced Voice Recognition, Siri Eyes Free, and the JBL Audio sound system. Also, the 2019 Prius comes standard with many safety-enhancing driving assistance technologies, including Lane Departure Alert with Steering Assist and the Pre-Collision System with Pedestrian Detection. 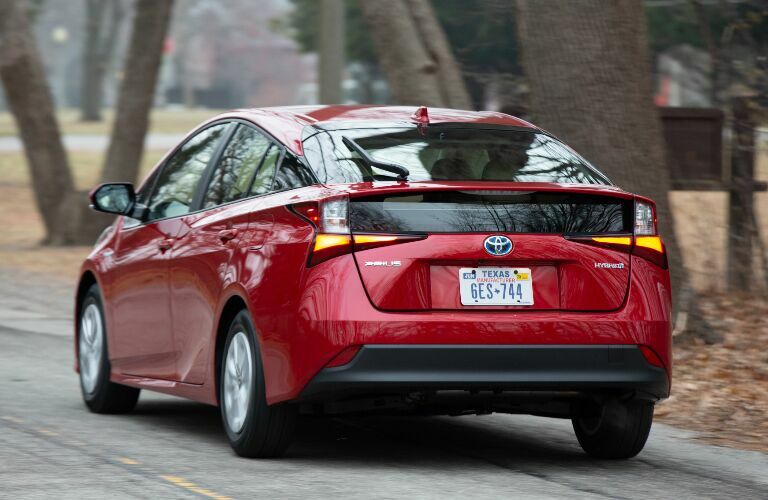 Visit us at Novato Toyota and take the 2019 Toyota Prius for a test drive!